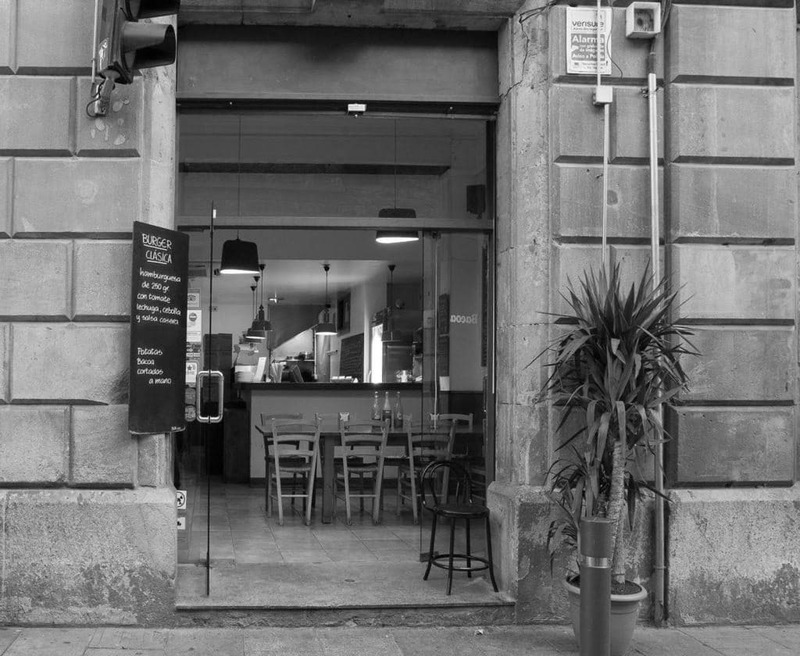 Bacoa started as a small “hamburguesería” with only 15 seats behind the Caterina Market in Barcelona in 2010, founded by a young Australian chef and his Spanish wife. In 2006 (years before Bacoa was even thought of) a young couple, Brad Ainsworth and Paula Lera, arrived in Barcelona from Brisbane, Australia, with no plan other than to spend some time living in the incredible Mediterranean city and visiting Paula’s family in Asturias. After about a year, they decided to open a small Australian/Thai restaurant in a tiny shop behind a beautiful food market in the old quarter of the city, they got a loan from the bank and within a few months Wushu Wok Bar was born. It was an immediate success. The dining area only had 15 seats and they frequently had lines at the door. It was already time to move! After looking around, they found an amazing new space in the Borne district: better visibility, more space and only 15 minutes’ walk from the little restaurant behind the market (what today we know as Bacoa Kiosko). It was a big move but everything was going perfectly and the city was booming. Then, one day without warning, after just 3 months of moving, the World’s economy plummeted and crashed, and at the same time Spain’s property bubble burst. It was sad to see how many restaurants and long standing businesses closed, unemployment skyrocketed and people lost their homes. Day’s felt like weeks but they had to face the facts. It would be difficult enough to keep the new big Wushu restaurant open and outright impossible to sell the empty little one behind the market. It was a desperate situation and something had to be done. Putting their heads together they came up with a plan: if there was some kind of activity in the little shop, instead of just an empty space, maybe it would be easier to sell. It was the final push. Brad and Paula borrowed 5000€ from their families, bought some very cheap Ikea furniture, a grill, a deep fryer and a fridge. There was no money for extra staff and Paula had to stay and manage Wushu, so Brad had to run it alone, but how? The solution was to be found in the laid back atmosphere of the Australian BBQ, where people order and serve themselves, clear their own plates and chat to each other while sharing sauces and seasonings on communal tables. Combining that with the quality local ingredients from the market next door, they came up with BACOA, a kind of Australian Spanish barbeque concept. A few weeks later Bacoa opened its doors with a simple menu: a few grilled meats, some fish and vegetables and just one “hamburguesa” called “La Bacoa”. “It started really slow, in one day only 3 or 4 people would come in and I was there for like 14 hours every day, it felt like a slow dream. Paula had to bring me a book to read, I was so bored. Every time someone came in I would spend 10 minutes explaining to them all about the awesome ingredients we were using, the cheeses from the market, the beef, all of it, I think I was just happy to have some company!